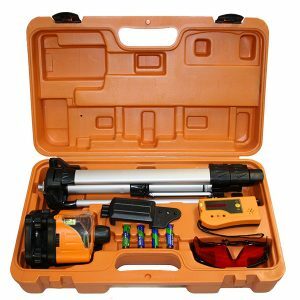 RedBack Lasers 3L360G – Self Levelling 360 degree green line laser. Ultra bright and clear 3 full 360 degree lines horizontal and dual vertical at 90 degrees. With Li-ion Power. 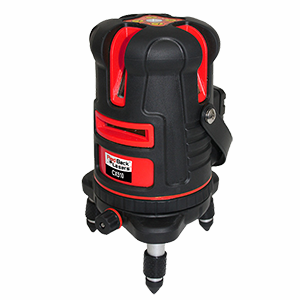 The RedBack 3L360G is a multi 360 degree green 3D line laser laser. The 3L360G features three 360 degree lines, one horizontal and two vertical at 90 degrees to each other. With all three lines turned on you get plumb up down ceiling floor crosses and four wall crosses for levelling and vertical alignment. 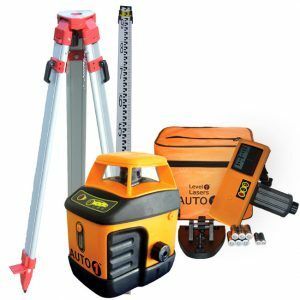 This laser level is the ultimate 3D indoor installation & fit out green beam laser powered by Li-ion for up to 20 hours of operation. The RedBack 3L360G is fully self levelling. Simply unlock the pendulum, select your lines and you ready to work. The RedBack 3L360G’s green beam line lasers are incredibly bright providing crisp, clear lines in even brightly lit rooms. The 3L360G also features manual mode. This allows you to set the laser lines at any angle you want by using an optional camera style tripod or grade plate with elevating tripod. The 3L360R is powered by Superior Li-ion rechargeable battery pack and can operate off standard alkaline “AA” cells if required. Also included in the kit is a elevating mount with both 5/8″ and 1/4″ tripod threads plus strong magnets. The 3L360R is packaged in a hard shell carry case and contains all the included accessories such as battery and charger. Really happy with Laser, very sturdy, strong and easy to use.